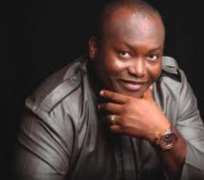 Oil mogul, Dr Ifeanyi Uba, has debunked speculations that he was arrested by operatives of Department of State Services (DSS). According to a repoort by The Guardian, Ubah spoke to the newspaper on Thursday on the telephone. He described the speculations as mere ‘rumours’ being bandied about by those bent on ruining his good name. “If I am arrested, I would not be talking with you now They should continue writing, but those who are in doubt should come and watch football match tomorrow because I would be there,” said the founder of Ifeanyi Ubah Football club. There were several reports in the online media that the founder of Capital Oil was arrested and detained by Nigeria's Department of State Services (DSS). But an aide of the business who would not like his name in print said all attempt to smear the good name his boss has earned would be in futility. “I can tell you that my boss's good name in the country today cannot be smeared. He is a hardworking businessman. All these propaganda about him is because he has become a big force to be reckoned with in Nigeria.